My friend Racquel is a frugal beast, maybe even more than I am. She’s also a busy homeschooling mom of 5. She loves to feed her family well without spending a ton of time or money, and without going crazy. 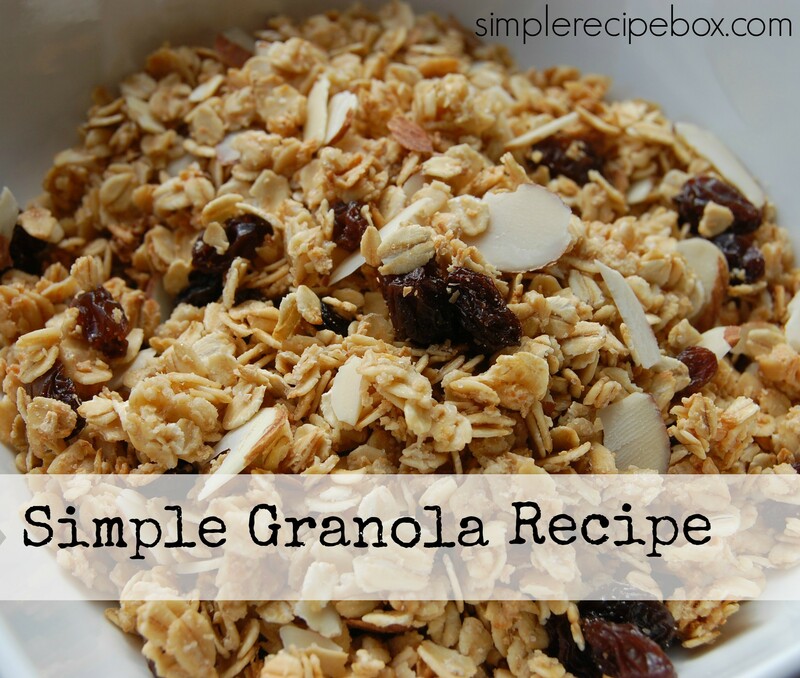 She found this granola recipe and it made enough breakfasts for her family of 6 for a week. It cost a little over $5. Pre-heat oven to 300 degrees. Melt the butter, sucanat and honey (or syrup) over low heat and combine well. Add in vanilla if you are using it. Put the oats in a BIG bowl. Mix in the shredded coconut. Pour the melted butter mixture over the oats and stir to combine. Add cinnamon if using. This is not a super saucy mix but you want to make sure you spread it around well. Spread a single layer of the oats on a jelly roll pan or cookie sheet and put into the oven for 30-40 minutes. Make sure you check it frequently to avoid burning. Once it has reached the desired crispness, take it out of the oven. Now you get to have fun! Mix in nuts, seeds, or dried fruit. Store the granola in an air tight container. I serve bowls of this with raw milk, but you could always add it to yogurt or even just use it to snack on. I used Kerrigold butter, Virgin Coconut oil, and shredded coconut for a super food boost to this granola. Additionally, good cinnamon helps keep you healthy especially during the winter months, so that’s why I added it. You can play around with this recipe and use whatever you like!